This week the tech headlines have somewhat been overshadowed by the death of Steve Jobs. But that wasn't the only reason Apple were in the headlines this week. We were one of the first sites to get hands on with the new iPhone 4S. We've also taken an in-depth look at the new OnLive cloud gaming system, as well as Windows Phone 7.5 Mango - an updated version of Microsoft's smartphone OS. Check out all this week's reviews below. While many of us were expecting the launch of the iPhone 5 this week, what we actually got was a refreshed and super-powered iPhone 4 in the shape of the iPhone 4S. It's faster, comes packing iOS 5and features other minor tweaks and refinements which combine to make this the best iPhone ever. 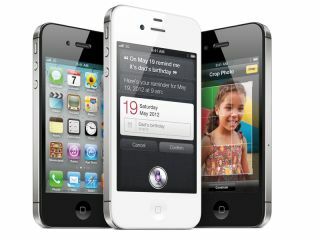 The 4S also comes with Siri – the hot new feature that allows you to interact with the handset using just your voice. So it's not a phone that'll have all iPhone 4 users queuing to upgrade – physically it looks the same – but mark our words, there will still be queues. And this handset will still be lurking near the top of our 'best mobile phones' chart come launch day. OnLive could, in theory at least, pave the way for how we consume and play videogames in the future. It works rather differently to a traditional games console stuffed full of various high-end components and screeching heat fans, instead it streams all of the actual computing tasks from one of the company's faraway servers, which it says it upgrades every month with the latest graphics cards and RAM sticks. Basically, you're playing a game remotely via the internet. When you aim your silenced pistol at a nasty henchman's bonce and pull the trigger, the command is sent over to OnLive's server den, which does all the computer work and then sends back the result of your gunshot via images down your broadband pipe. LG clearly wants to send out a message with its 55LW980T. And that message is that if anyone still clings on to a belief that the Korean brand is only interested in the budget end of the market, they're very sorely mistaken. The LG 55LW980T's specs read like a bucket list of stuff a modern home entertainment enthusiast would want from a TV. It packs direct LED lighting, and it's simply a very attractively and gorgeously built TV which comes packed with connections and multimedia ambitions that include a feature-packed online Smart TV platform, and playback of most types of video, photo and music files from DLNA PCs or USB flash drives. At £140 the Nikon Coolpix S4150 is a good camera to sling into a bag or to quickly pack away for the beach, coping well in most ordinary, every-day situations. However, using the touchscreen is frustrating for those used to the ease of something like the iPhone, which will be enough to put some off, But if you can live with the stylus this is a good all round camera. Windows Phone 7.5 Mango is definitely an upgrade for the mobile operating system. The 500 new features don't make the system cluttered or confusing, despite adding improvements, fixes and new features in almost every area. Instead they fit in with the existing user experience and enhance it.